White Seahorse Figurine Statue Pair by John Perry is natural ocean home decor from Animal World®. Featuring it's own unique burled wood base the white seahorse figurine statues are made of Pellucida™. The White Seahorse Figurine pair measures approximately 9"H x 4.75"W x 4"D. Wood base is unique and differs slightly with each piece. 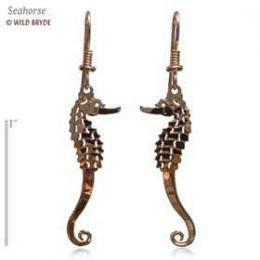 Shop our Seahorse Gifts Store at Animal World® page for all our Seahorse gift ideas. To buy the White Seahorse Figurine Statue John Perry click on "Order"